Heather, co-owner of AZO Civil Services and Tactical Advantage Guns (Gun store), grew up hunting with her father, Guy. This experience, combined with her being a CPL Holder and Hunter Safety Instructor, led to her desire to start the company with husband Brent. While still in college, Heather became a black belt in Tae Kwon Do and used this experience to become AZO’s Chief Self-Defense Instructor. She also is a certified instructor in Pistol, Rifle, Shotgun, Home Firearm Safety, and Personal Protection (Both inside and outside the home). In addition to managing and running a training company and gun store, she also teaches High School Bio-Medical Science and A.P. Chemistry. Heather also runs a Women’s Only Shooting Group called “A Girl and A Gun” with Angel. If she’s not teaching, running a class, or working with the ‘Ladies’ Heather can be found behind the counter assisting customers at the gun store or spending time with her family. Brent is the Co-owner of AZO Civil Services and Tactical Advantage Guns (Gun Store). In 2009 Brent attended the United State Border Patrol Academy where he learned about the combative application of the pistol in self-defense. After returning from the academy Brent and Heather decided to start a business where they could bring life-saving training to law abiding citizens. Currently, Brent is an NRA Training Counselor and Instructor in the disciplines of pistol, rifle, shotgun, home firearm safety, and personal protection (both inside and outside the home). He is also the Chief Firearms Instructor and in charge of our Advanced Firearms Classes. A proud lifetime member of the NRA and MCRGO, Brent also stays active in helping to maintain the citizens right to self-defense. In addition to his NRA credentials Brent is an Instructor for the MCRGO, and an active American Heart Association instructor for BLS and Heartsaver CPR and First Aid as well as an ECSI Instructor for Lay Rescuer 1st Aid and CPR/AED. When he isn’t busy with the store or teaching, Brent can be found re-enacting either the Civil War or World War II, and enjoying time hunting, scuba diving, shooting competitively, and spending time with his family. A 10-year Army veteran with combat experience, Corey has been around many different types of firearms and loves everything to do with them. During the week, Corey can be found staffing the gun store and meeting our customers’ needs. He joined the training staff of AZO Civil Services in 2015 and became RSO Certified shortly thereafter. In 2016, he continued his training by becoming a Certified Instructor in the disciplines of Pistol and Personal Protection in The Home. His burning desire is to one day become a Training Counselor so he will be able to train others as certified firearms instructors. When not working at the gun store or training students in the safe & efficient use of gun handling, Corey can be found honing his own skills with his personal handguns and rifles, as well as spending quality time with his family. Chad is a man of many talents. He is a Pastor for a local church, sales associate at Tactical Advantage Guns, and an excellent instructor for AZO Civil Services. Chad is certified as an MCRGO Instructor as well as an NRA Range Safety Officer. He loves teaching people new to firearms how to handle them safely and effectively and always has a great time working with new shooters! When he isn’t instructing or helping behind the counter at Tactical Advantage, Chad can be found participating in competition shooting, studying the Bible, and spending as much time with his wife and children as he can. Angel began her shooting career in 2007 when she met her husband Ben who got her into blackpowder shooting. Her passion for guns has only grown stronger since that day. She met the owners of AZO during her CPL class she took from them and after some discussion, she and Ben joined their staff. Angel is certified by the NRA to instruct in the disciplines of Pistol, and Personal Protection in the Home. 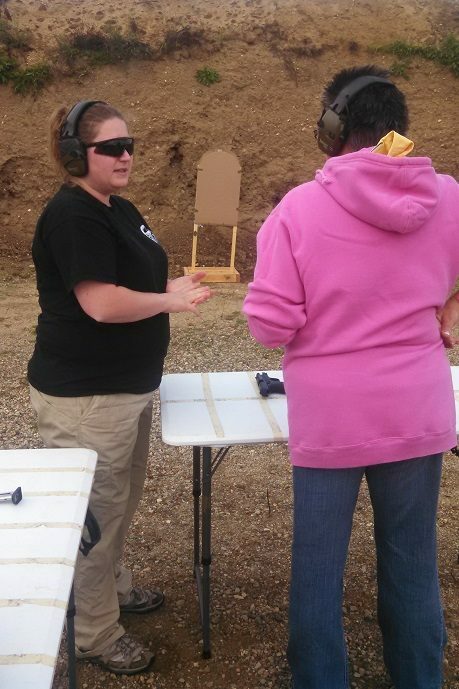 Angel spends most Saturdays either instructing during our many CPL Classes or at blackpowder shooting competitions. When she’s not doing either of those, she’s working with “A Girl and A Gun” or instructing new shooters during private one on one training. When not working with AZO, Angel is a Medical Assistant and owns her own business selling health & wellness products. Guy cannot remember a time when he didn’t have a gun in his hand growing up. As part of a family active in shooting sports, mainly hunting, he was able to enjoy the firearms from a young age. He has had a Michigan CPL since 2001 when the law changed to a “shall-issue” standard, and firmly believes those with the ability to carry, should! Certified through the NRA, Guy actively instructs in the disciplines of pistol, rifle, shotgun, home firearm safety, and personal protection (both inside and outside the home). He is a certified re-loader and spends much of his time reloading for training courses and recreational shooting. When he isn’t instructing, or reloading, he can be found farming his 200-acre family farm in Northern Michigan & spending quality time with his wife and other family. A veteran of the United States Marine Corps as a Machine Gunner, Ben became a great asset to AZO’s training staff in 2015. An avid shooter in all types of firearms, Ben especially loves Blackpowder Rifles. He enjoyed shooting those type of rifles competitively alongside his wife Angel and strived to rise through the ranks of blackpowder competition as well as becoming the best instructor he could be! Ben passed away suddenly and unexpected in July of 2017 and will be forever missed at AZO! Ben is certified in the disciplines of Pistol and Personal Protection in The Home. He enjoys teaching others how to safely and effectively use a firearm and loves instructing new shooters during our one on one private instruction. Rick has always enjoyed (Bow, Shotgun, Crossbow) hunting and clay pigeon shooting since a fairly early age. Being Brent’s father, he has worked with AZO Civil Services since its inception in 2010. He thought when he retired from over 35 years in the sheet metal industry he would have all the free time in the world, but he soon found out he would be busier than ever. As one of AZO’s lead CPR/AED Instructors, Rick brings over 30 years of experience in that discipline alone. Upon Brent’s return from the Border Patrol, Rick started shooting handguns with him and instantly became hooked. 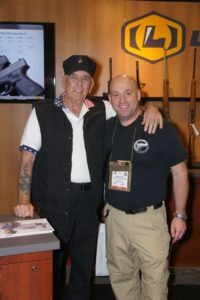 Shortly thereafter Rick became Instructor Certified in the disciplines of Pistol, Rifle, Shotgun, Home Firearms Safety, and Personal Protection (Both in the home and outside the home). When he’s not busy with teaching or helping in the store on occasion, Rick enjoys Fishing, Hunting, Camping and spending time with his family.